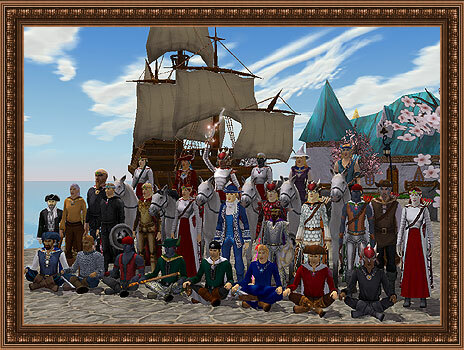 The Guild Created by nicktehbrick to establish an enviroment for Eternal Lands players to freely pursue their own goals, while still having unity through friendship, trade, and guild events. We look for people who are friendly, mature and honest, and just want to have a good time, whether its pking, manufacturing or even just harvesting. Why Join? Looking for a guild with fun and helpful people? We have guild events, we have trade bots, we have guild quests and prizes too!!! Ever playing late at night and wish you had people to talk too? Died somewhere and need someone to grab your deathbag? Looking for tips on skill progression? Having trouble finding an item on the market? Looking for guild events to work on your teamwork skills? Want to make great friends? At LoRC you will find this and more. Give us a try and see for yourself. Interested in joining? Visit our Forum to learn more about us, and if you like what you see, register and then use the LoRC Member Application form.